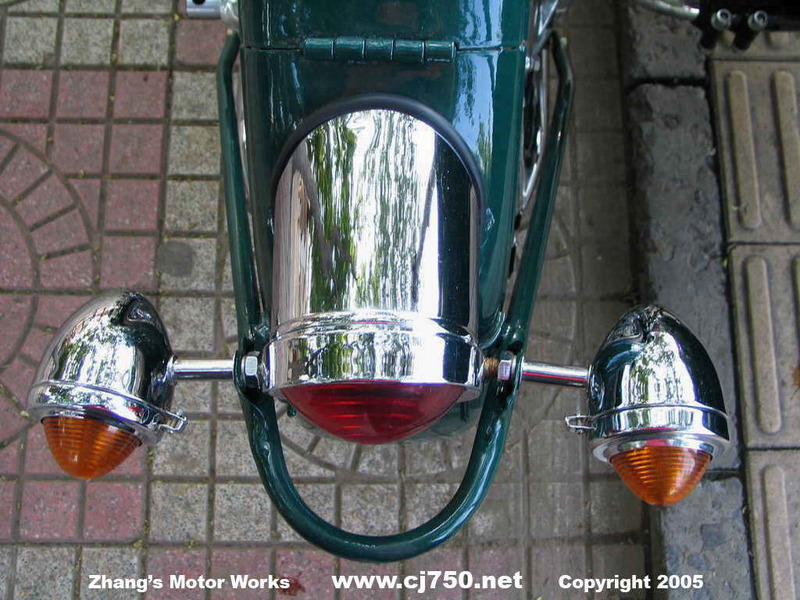 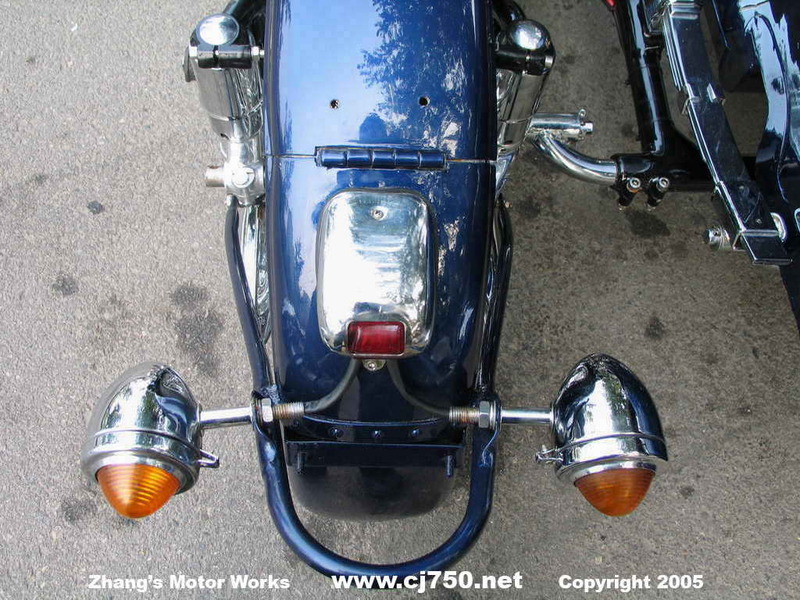 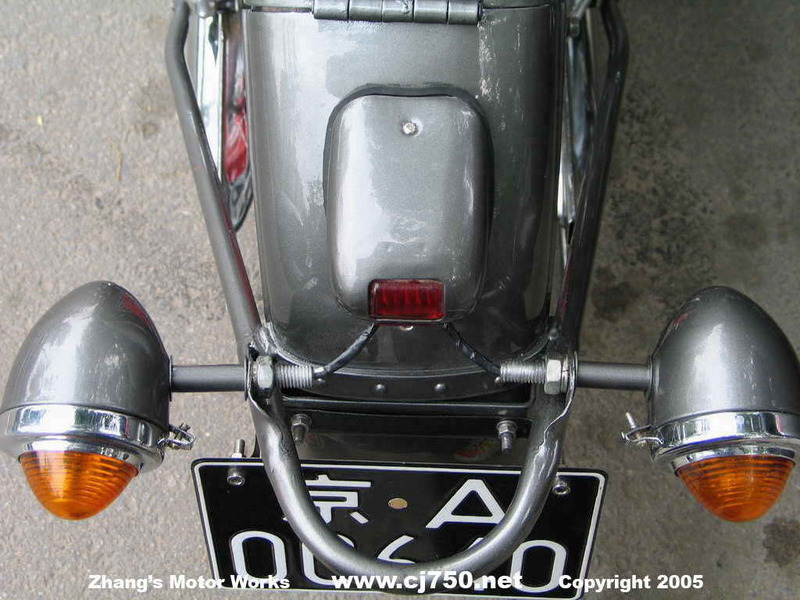 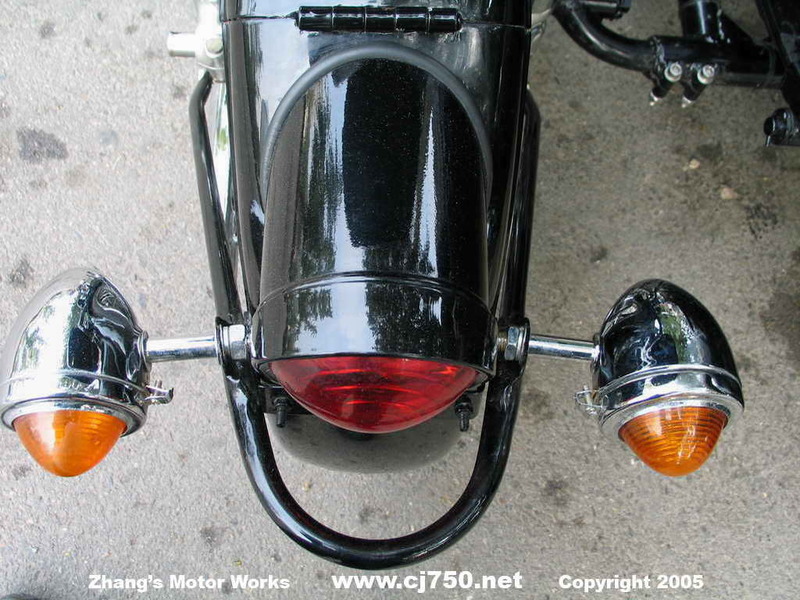 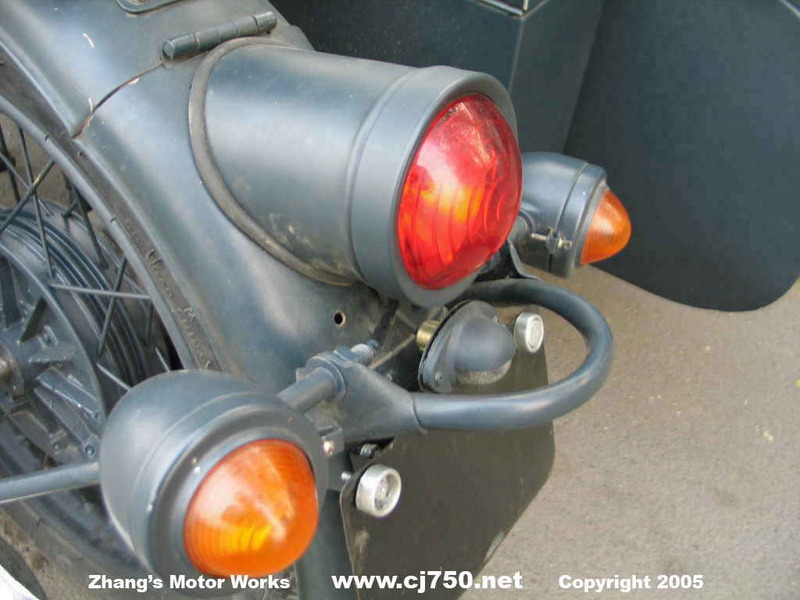 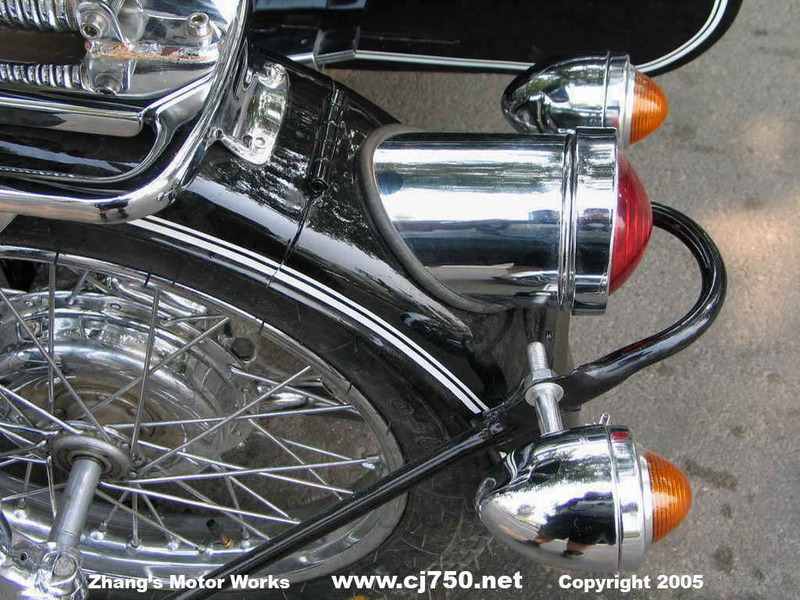 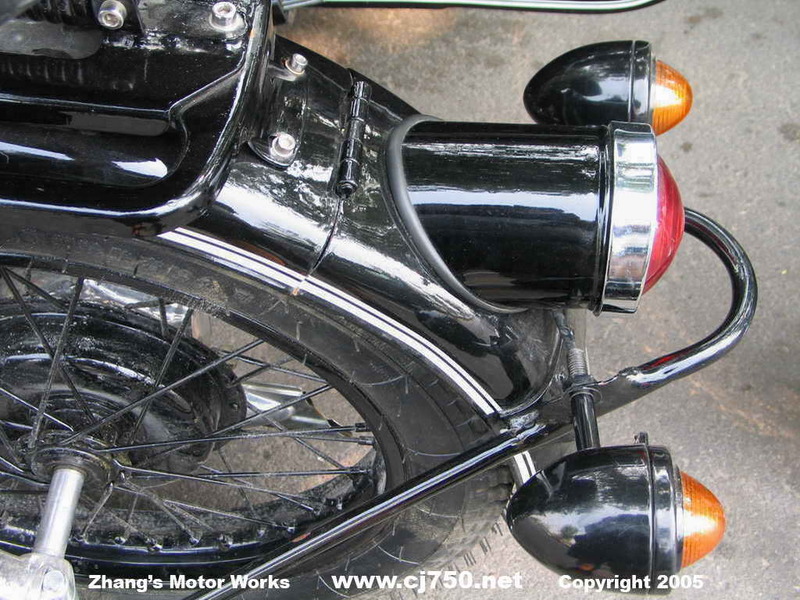 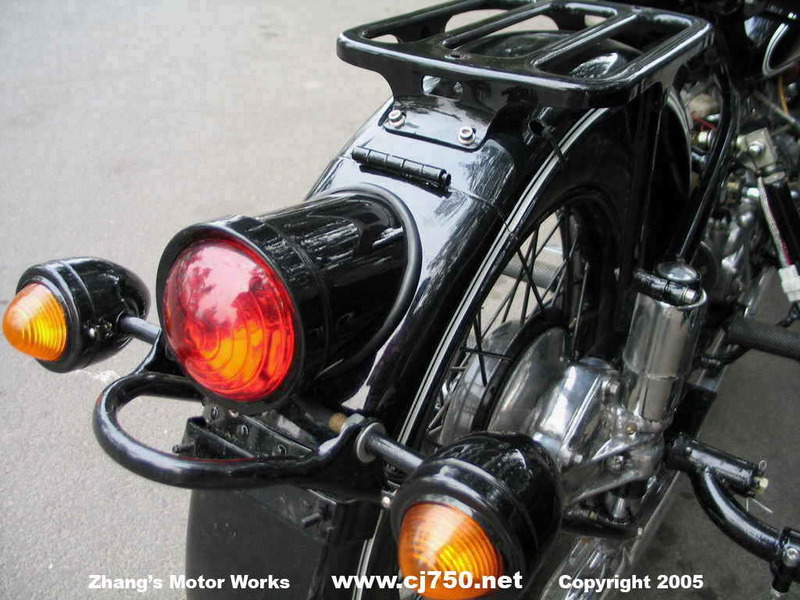 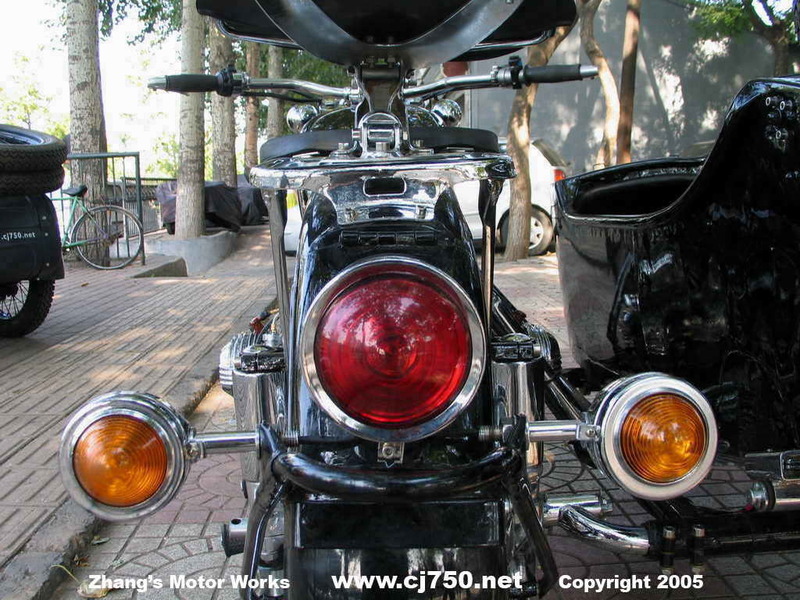 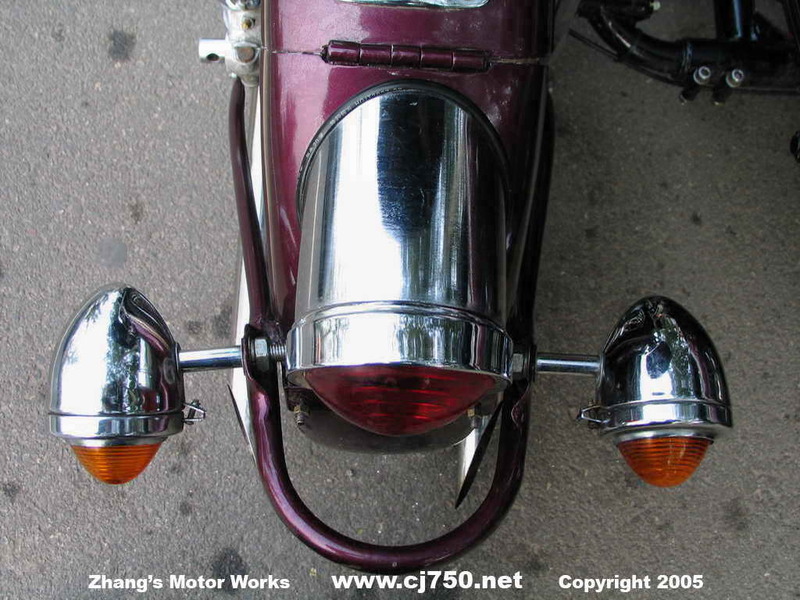 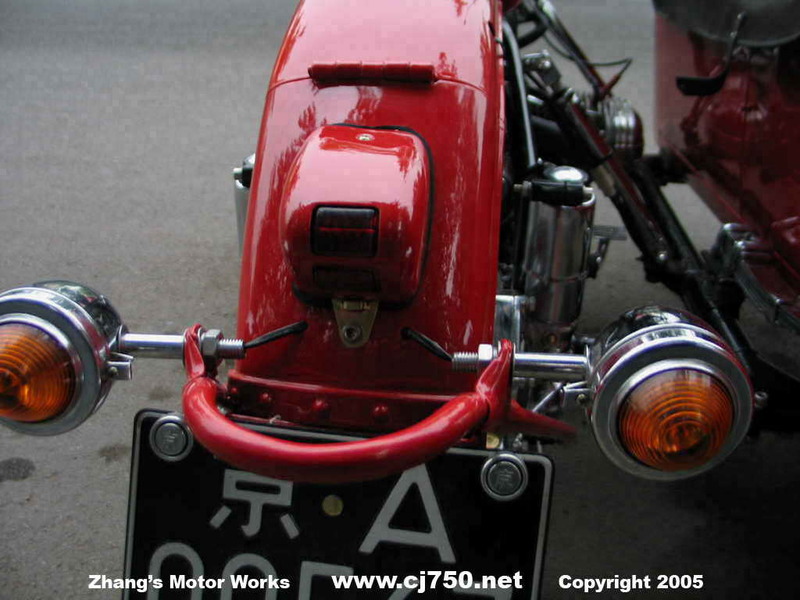 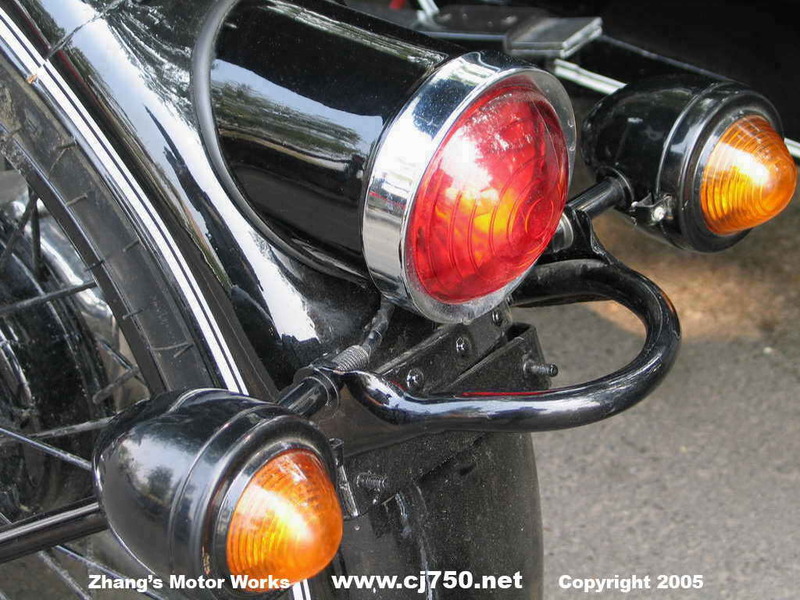 Check out the different variations of tail light that can be installed on a Chang Jiang 750. 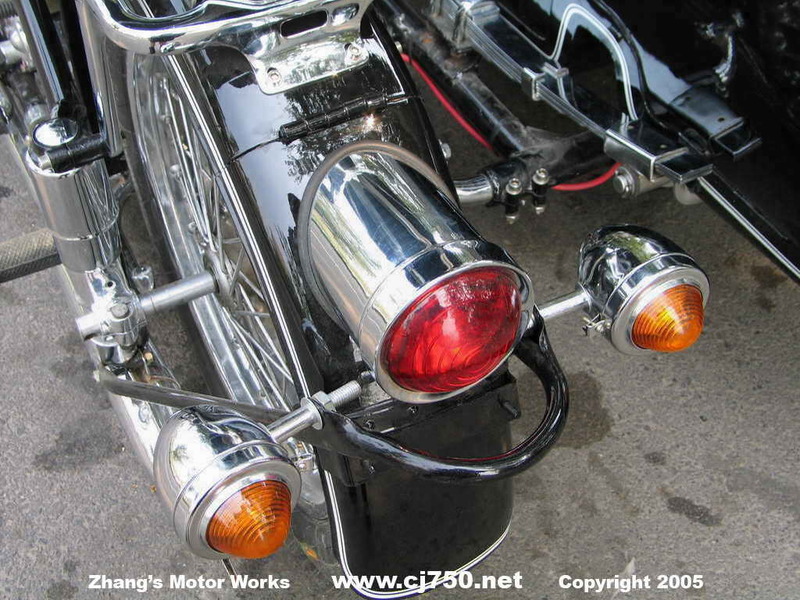 Look closely and see the difference between the different grades of chrome, click on the text: excellent chrome, medium chrome and standard chrome. 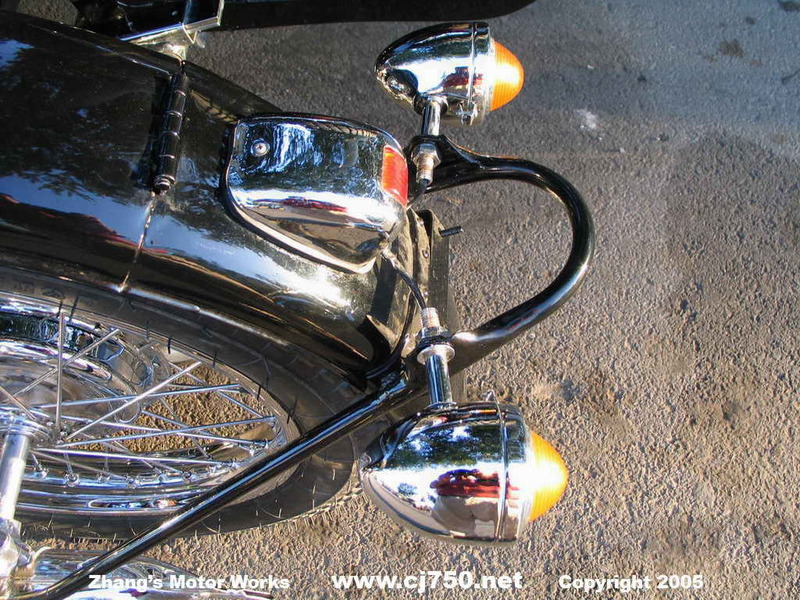 Standard chrome will almost immediately start to rust after the wax and polish wears off. 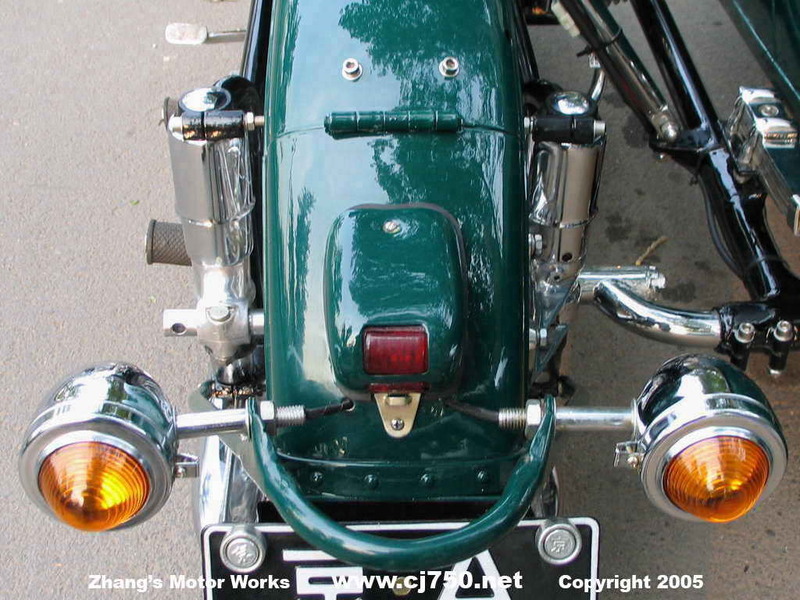 We do not recommend it. 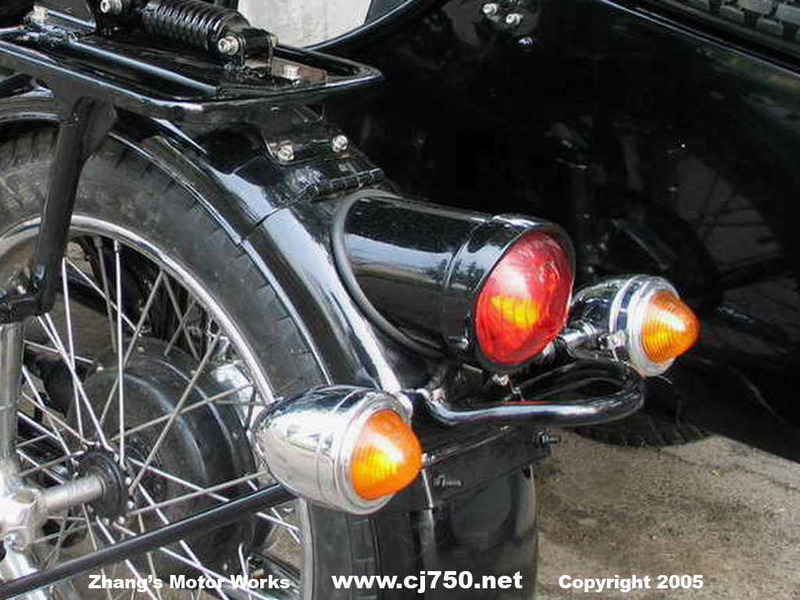 If you do not have the budget for a premium restoration then get your CJ750 with minimal chrome. 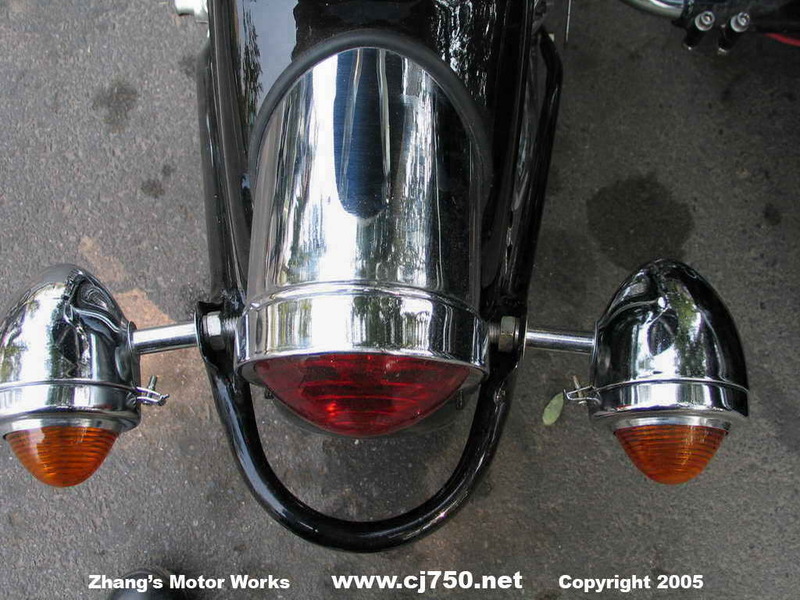 You can also order your lights painted or part painted and cap with chrome rim. 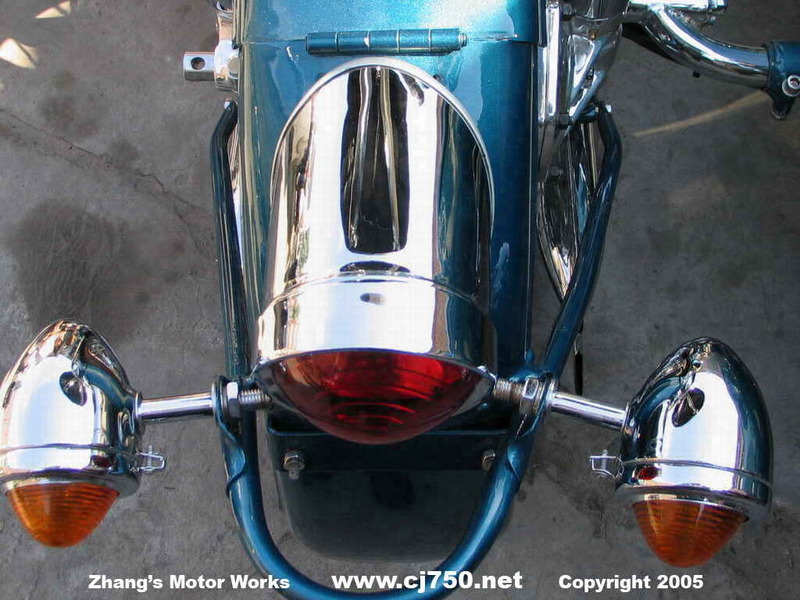 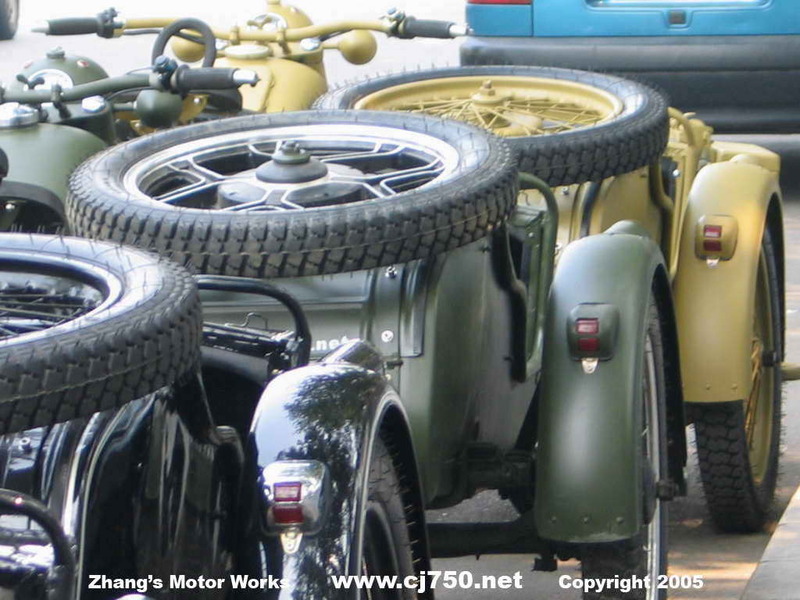 Most of the Chang Jiang 750 sidecars we restore customers prefer the top quality chrome. 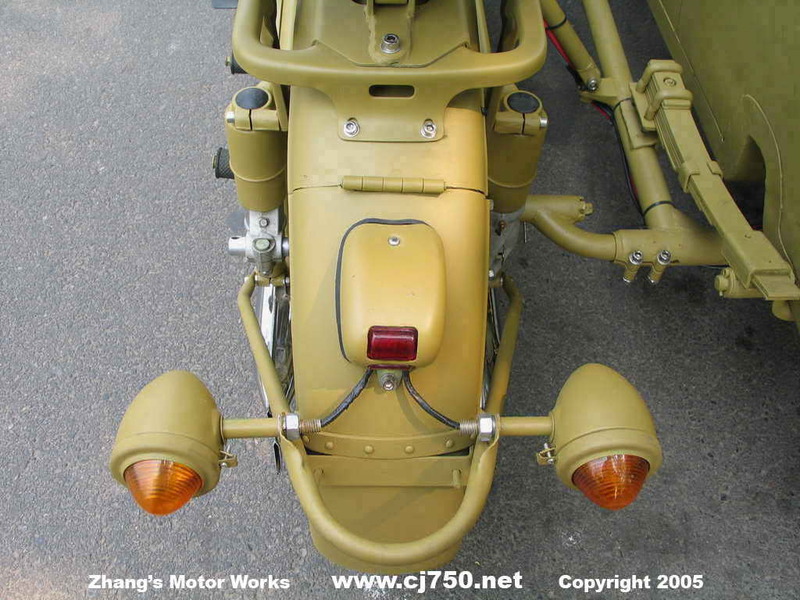 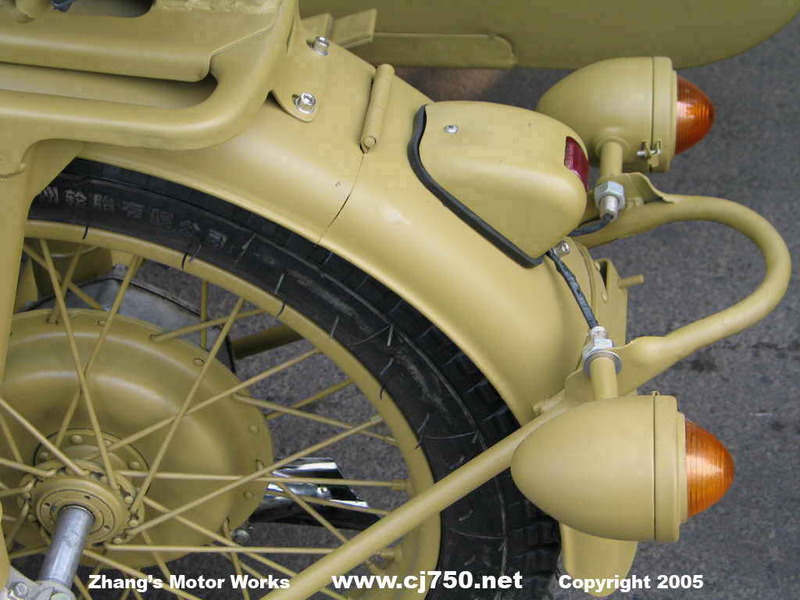 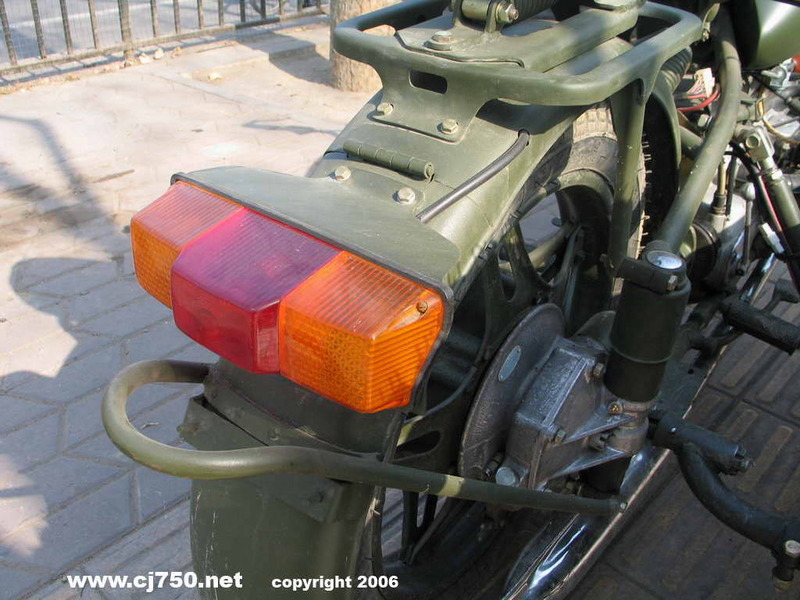 Chang Jiang 750 sidecars stock come with the canister style tail lights. 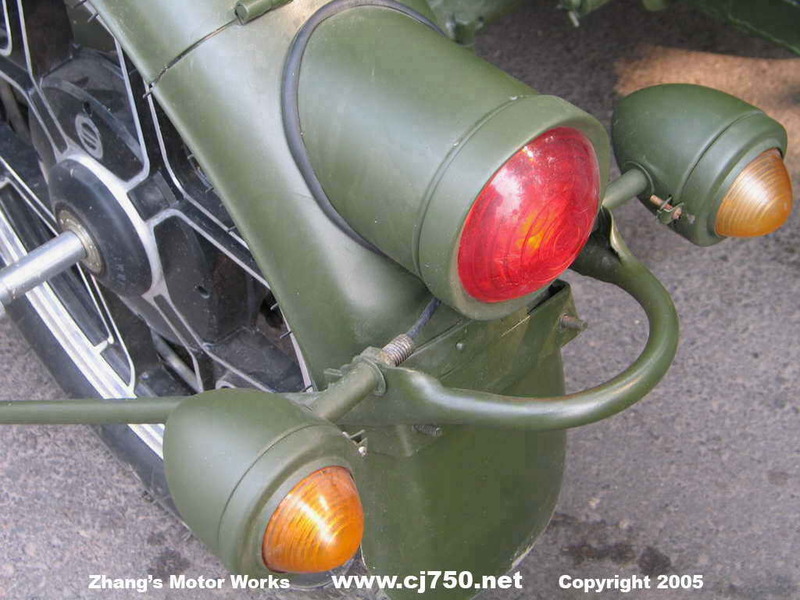 PLA sidecars come a totally differnet type of tail lights and blinkers. 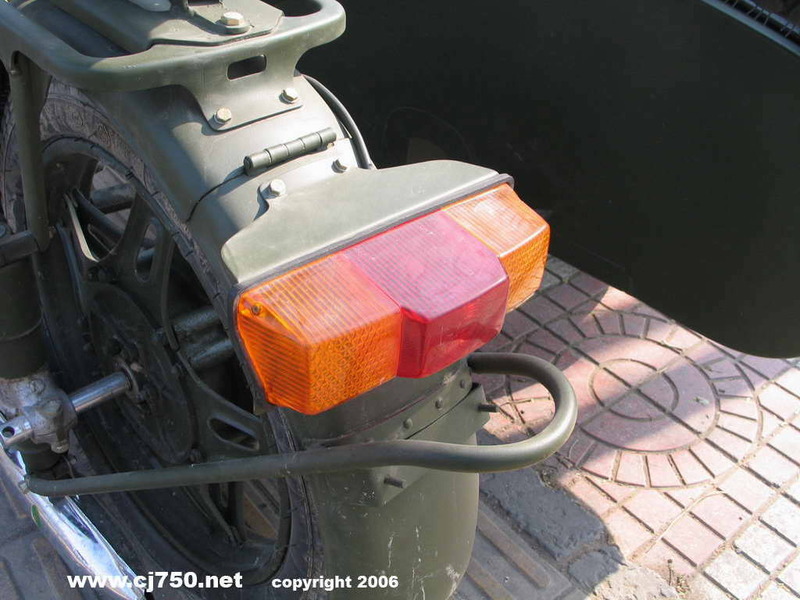 Many customers prefer the smaller square light because it offers a much more streamline look however in many cases it may not be usable when you are going to get your bike registered or inspected.